Looking for the perfect pair of vintage Levi’s 501s, but ill-fitting, dad jeans are all you can find? 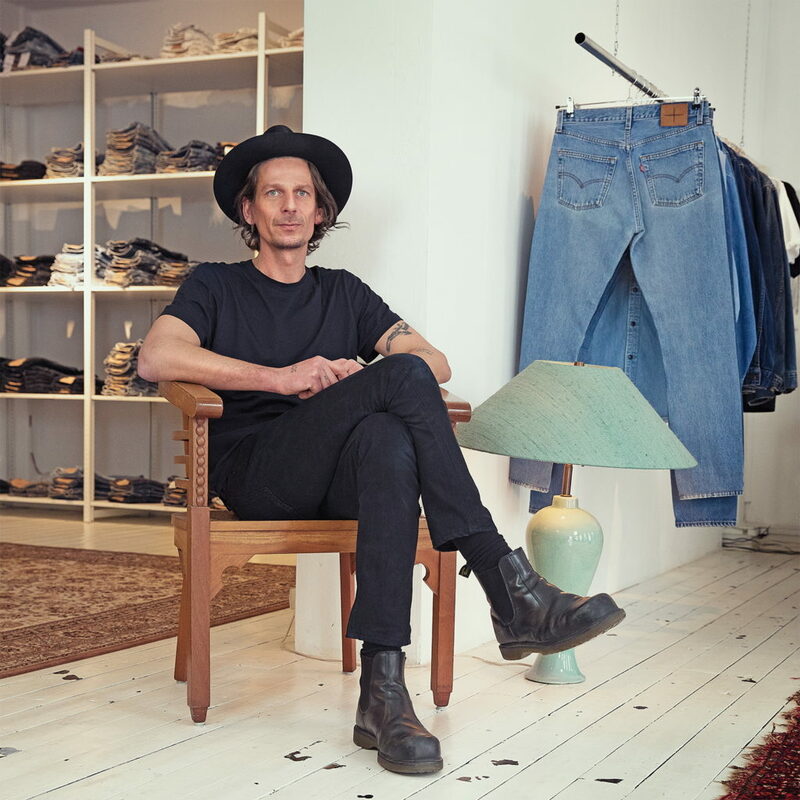 Make a pit stop at jeans-magician Mick Keus’ atelier, where he re-appropriates vintage denim to create impeccably tailored, custom-fit jeans. When the large wooden door of Keus’ atelier swings open, a flight of stairs takes you up to a vast, minimalistic white space that looks like it could be a page ripped out of an interior design magazine. As soon as you walk in, a huge wall-to-wall cabinet immediately grabs your eye. It’s filled to the brim with meticulously stacked pairs of Levi’s 501s, organized by colour, fit and size. The upbeat designer, dressed head to toe in black, plops down on the brown vintage Chesterfield sofa and enthusiastically starts chatting about his work and how he started out in the fashion industry.